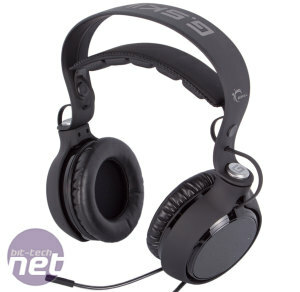 Surround sound is often touted as an important feature of many gaming headsets, although many of our favourites are simple stereo headsets. Surround sound can be hard to pull off – if you go the virtual route, you risk having a pretty unconvincing effect, while installing multiple discrete drivers for true surround sound can quickly become very costly. 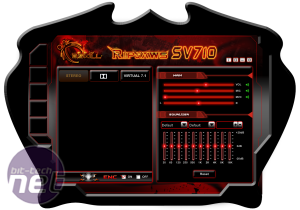 Nonetheless, G.Skill, is fully embracing surround sound with its first two headsets, offering both a virtual model, the SV710, and a true surround model, the SR910, both of which we'll be reviewing today. 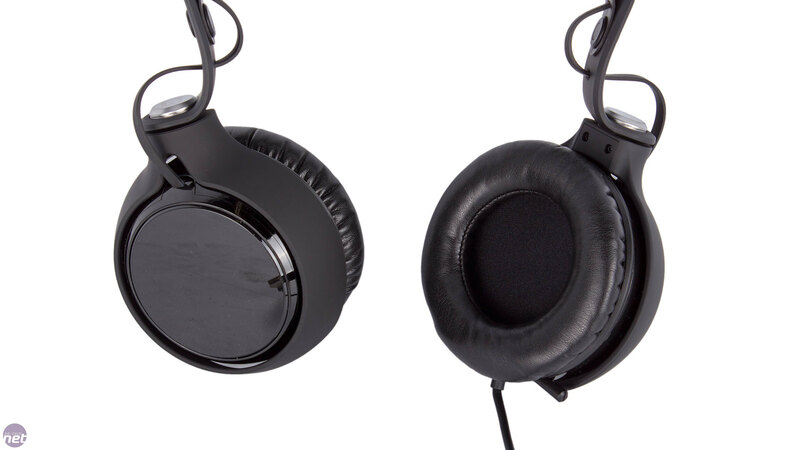 With its single pair of neodymium 50mm drivers, the SV710 is physically a stereo headset, although is also offers virtual 7.1 surround sound. 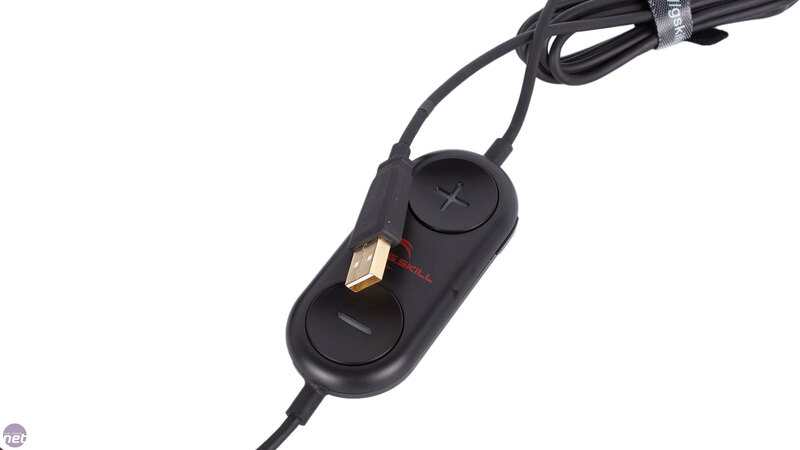 For this, it has to utilise a USB connection, which sits at the end of a particularly long (3m) cable. 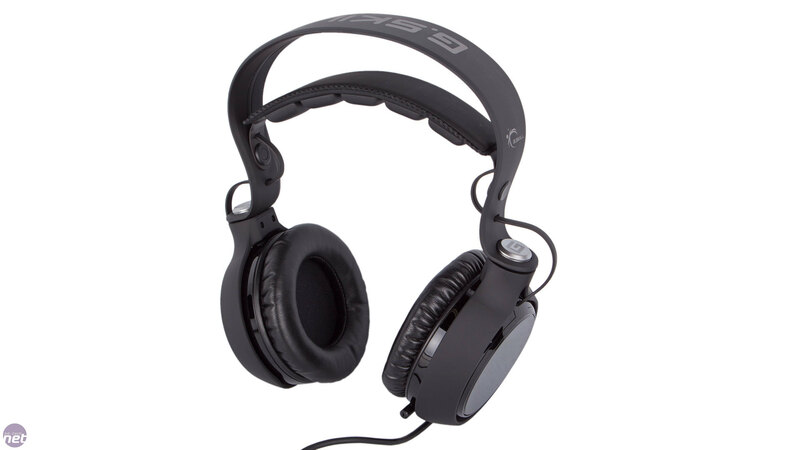 The wire is thick, heavy, rubberised and permanently fixed to the left earcup. In the middle of the cable is a plastic in-line remote, which is unnecessarily bulky. 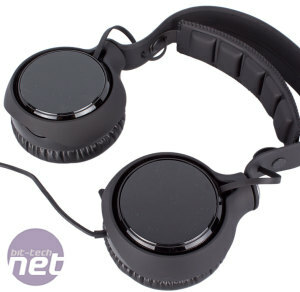 The space isn't well used either – the massive volume buttons may be easy to hit but a wheel is generally easier and quicker to use, and they stand in contrast to the tiny, side-mounted microphone mute button. We do like that the blue LEDs behind the volume buttons flash red to indicate mute mode, but aren't keen on the remote having no clip, as this means it has to either hang beneath the headset, adding drag, or rest awkwardly on your desk. 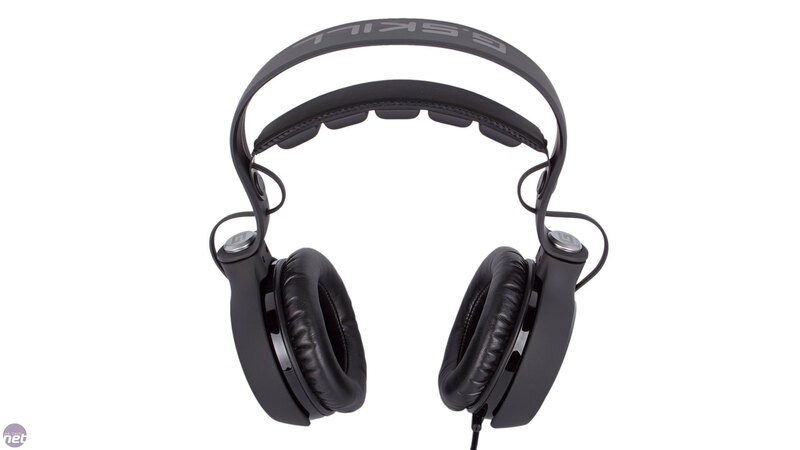 The SV710 features a retractable microphone also nestled within the left earcup. This is simple to use and it's nice and flexible too for easy repositioning. 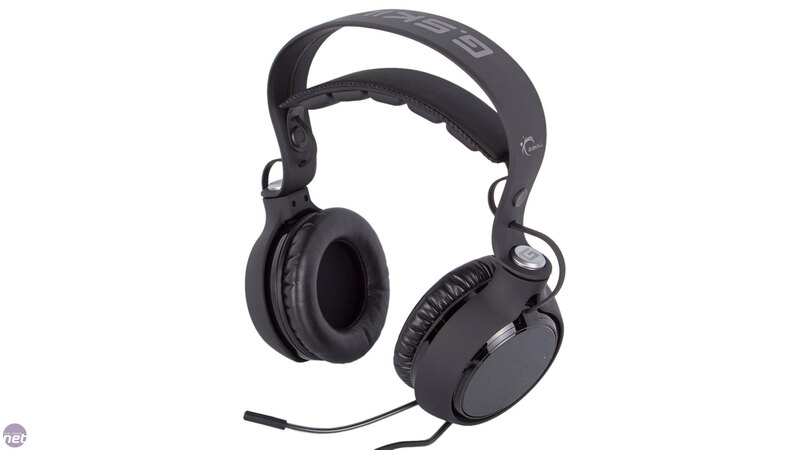 The main frame of the headset and of the earcups is solid and has a soft-touch coating. Build quality is definitely a strong point, and we quite like the red LEDs that shine through the outer sides of the closed-back earcups, lighting up the G.Skill logo within. Beware, however, that the plastic surface here is very prone to picking up marks. 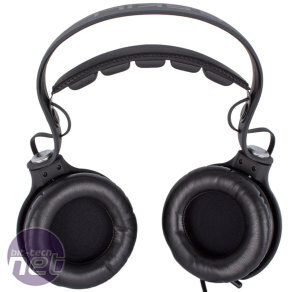 The earcups are attached by a pivot joint allowing them to fold inwards for flatpacking, although no carry case is provided. They also have plenty of movement to adjust to the shape of your head, while height adjustment is handled automatically by the suspended headband. The padding on the headband and particularly on the earcups is generous. 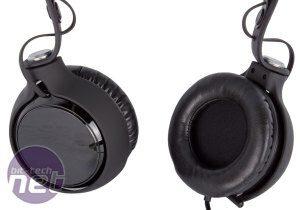 All of this means that the SV710 should be a comfortable headset to wear, but the actual result is rather different. 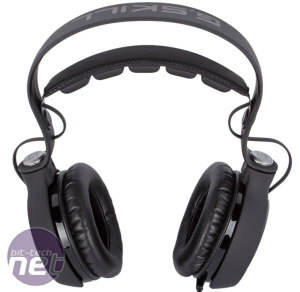 While the padding is soft and the earcups spacious, the headband isn't properly able to counter the weight of the headset. The end result is a fit that isn't very secure, and the SV710 even slowly began to fall further down our head the longer we used it rather than settling in one place. 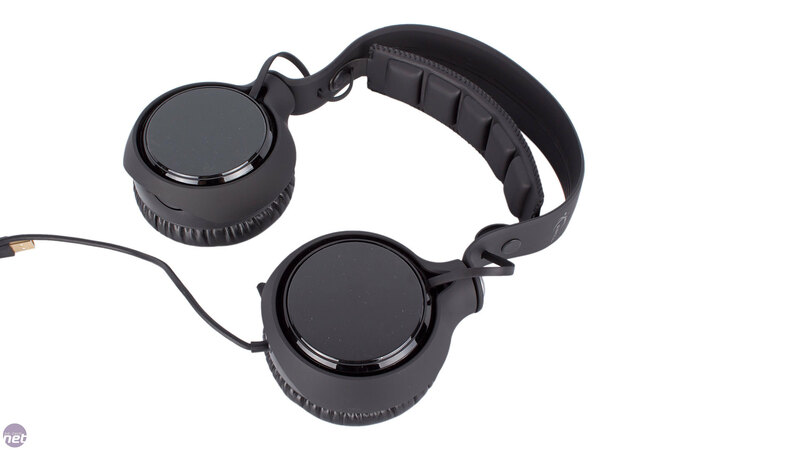 Eventually, the top part of the earcups would start to pull down on our ears and we'd have to reposition it, but even simple and minor head movements could trigger it again. Also, most of the clamping force appears to be above your ears, so underneath them it can feel loose. It's possible those with larger heads will fare better but we don't have particularly small heads ourselves and this certainly isn't a headset we'd want to use long term as it's more likely to become a distraction than an aid in games. The SV710 can be used plug-and-play but to get the most from it you'll need to install some dedicated software. The utility is garish in looks but has a simple layout that makes it easy to change options including volume and microphone levels as well as microhone monitoring, EQ settings and, of course, the virtual surround effects. 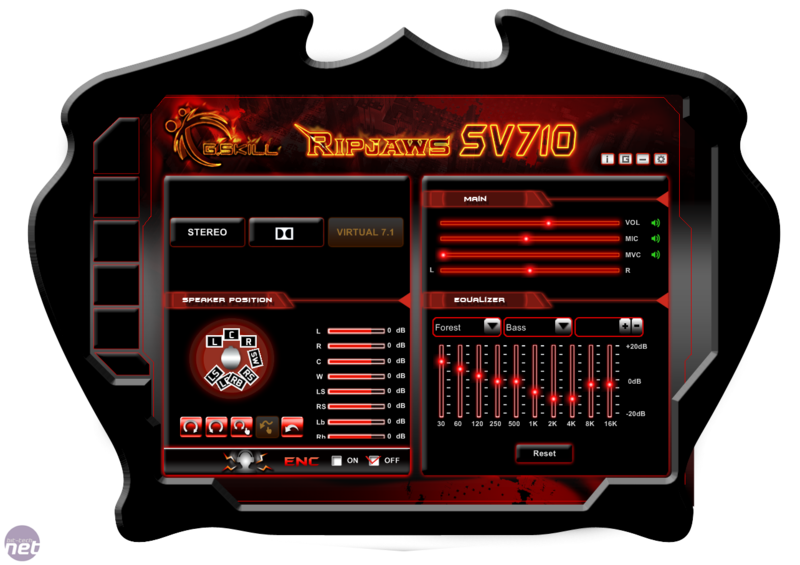 In its default state, the sound quality of the SV710 is nothing to shout home about. 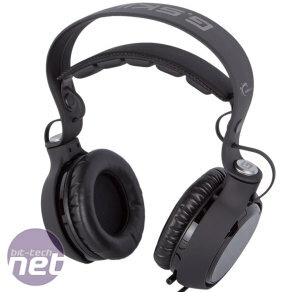 While we're not fans of overly bass-heavy gaming headsets, the SV710 is definitely left wanting in the bass arena, with kick drums and basslines sounding pretty weak and lacking punch. Mids and highs fare better in terms of the range covered, but even so the detail and clarity fails to impress. Hitting the virtual 7.1 button only makes matters worse in music as it throws off the balance – this is nearly always true of virtual surround headsets, however. 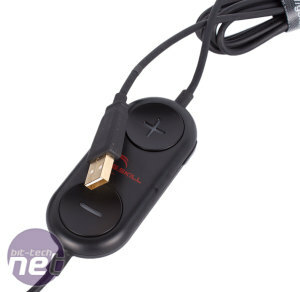 It is much more suited to films and games, and though positional audio is hardly handled with pinpoint accuracy the effect can certainly liven up entertainment and add a bit of atmosphere. The average sound quality and weak bass, however, cannot be made up for by this. We tried playing with the various environment effects and EQ settings, many of which are wildly different and rarely benefit the genre of music they claim to. Some of the effects, meanwhile, are downright ludicrous. 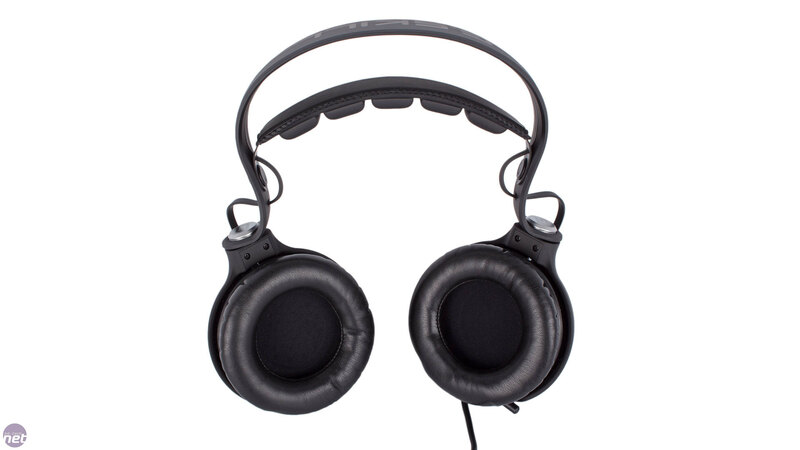 One particular favourite is “Drugged” which introduces a massive distorted echo to all sounds – finally there's a headset that lets you relive that Glastonbury K-hole. Lastly, we tested the microphone recording quality. We found that it was pretty good, although there was a lot of hiss at high sensitivities. Still, it does well at drowning out background sound, be that from a keyboard, your speakers or the headset itself. There is an ENC (environmental noise cancellation) button in the software, but this was rubbish and just caused the microphone to filter out frequencies without making an exception for our voice, leading to a garbled and difficult to hear recording. Unfortunately, there isn't proper UK pricing available for the SV710, so we're basing it off the US price with tax added. This is still probably quite generous as US pricing is well below MSRP at the moment, but even if the SV710 does come in under £50, we can't recommend it. While it does feel well made, the design means it doesn't sit comfortably on your head. The sound quality also fails to induce much excitement, so the SV710 can safely be overlooked in your post-Christmas shopping. 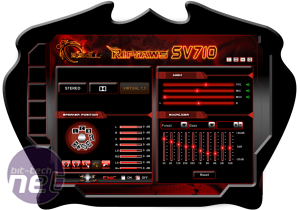 G.Skill is entering the peripheral business - can it pull a Corsair and do it with success?